This great fitting, moderate flare leg maternity pant features a soft and stretchy panel that grows with you. The knit panel stretches over your belly for maximum coverage and support. 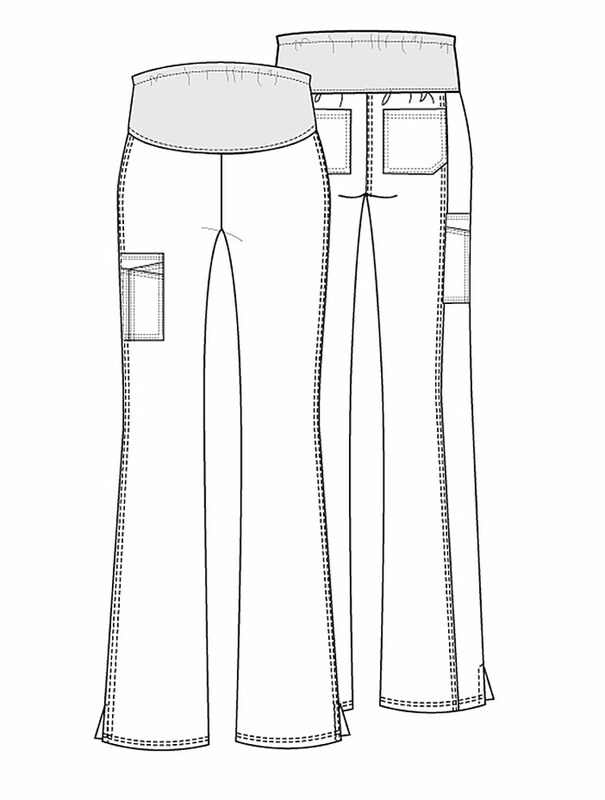 Also featured are a sectional cargo pocket, two back patch pockets, a back leg seam, side vents and double needle topstitching. Inseam: 31"